The hit musical-comedy Hairspray dances its way on to the Arts Club stage this May. Based on the cult John Waters movie of the same name starring Ricki Lake, Sonny Bono and Divine, the Tony-winning musical ran for six years on Broadway. 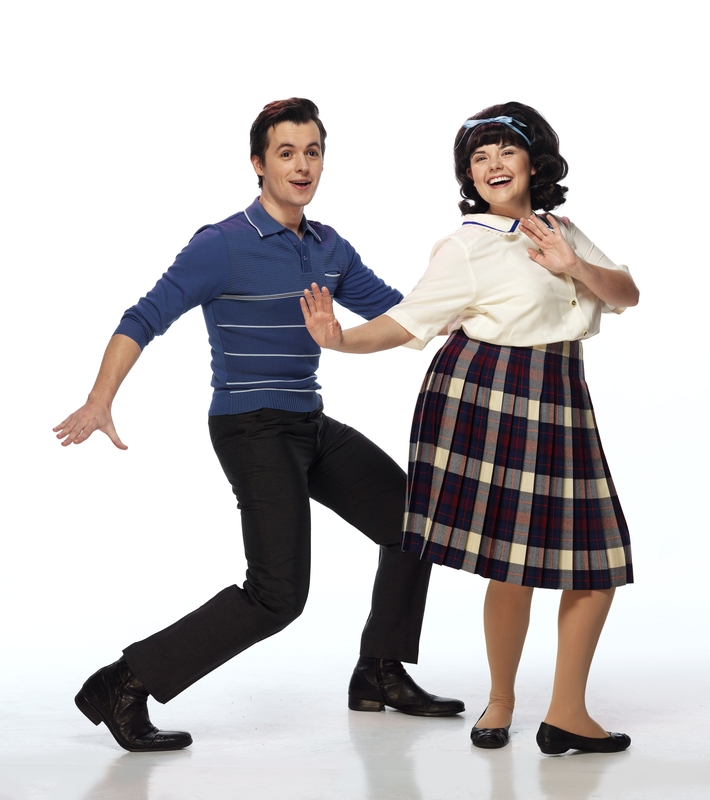 Adam Charles and Jennie Neumann in the Arts Club Theatre Company’s production of Hairspray. Photo by David Cooper. Music by Marc Shaiman (Catch Me If You Can), lyrics by Scott Wittman (Catch Me If You Can) and Marc Shaiman, and book by Mark O’Donnell (Cry-Baby) and Thomas Meehan (Cry-Baby). Directed by Bill Millerd, musical direction by Ken Cormier, and choreographed by Valerie Easton. Set design by Ted Roberts, costumes by Alison Green, and lighting by Marsha Sibthorpe. Starring Jay Brazeau (Drowsy Chaperone, Playhouse), Meghan Anderssen (Thoroughly Modern Millie, TUTS), J. Cameron Barnett, Jak Barradell (Altar Boyz, Arts Club), Darren Burkett (Seussical, Carousel), Adam Charles (White Christmas, Arts Club), Starr Domingue, Kayla Dunbar (The Park, Studio 58), Allison Fligg (Footloose, Exit 22), Ian Yuri Gardner, Kimberly Gelera, Alana Hibbert, Anna Kuman (White Christmas, Arts Club), Lelani Marrell, Laurie Murdoch, Jennie Neumann (Seussical, Carousel), Matt Palmer (Annie, Gateway), Milo Shandel, Colin Sheen (Fantasticks, Playhouse), Cailin Stadnyk (Singin’ in the Rain, TUTS), and Robyn Wallis. Arts Club Theatre Company presents Hairspray from May 12, 2011 – July 10, 2011 at the Stanley Industrial Alliance Stage, 2750 Granville St. Tickets are available online or by phone at 604-687-1644. It’s hard to believe but it’s that time of year again and the Arts Club is ready to get you in the seasonal spirit with its remounting of last year’s box office success White Christmas. 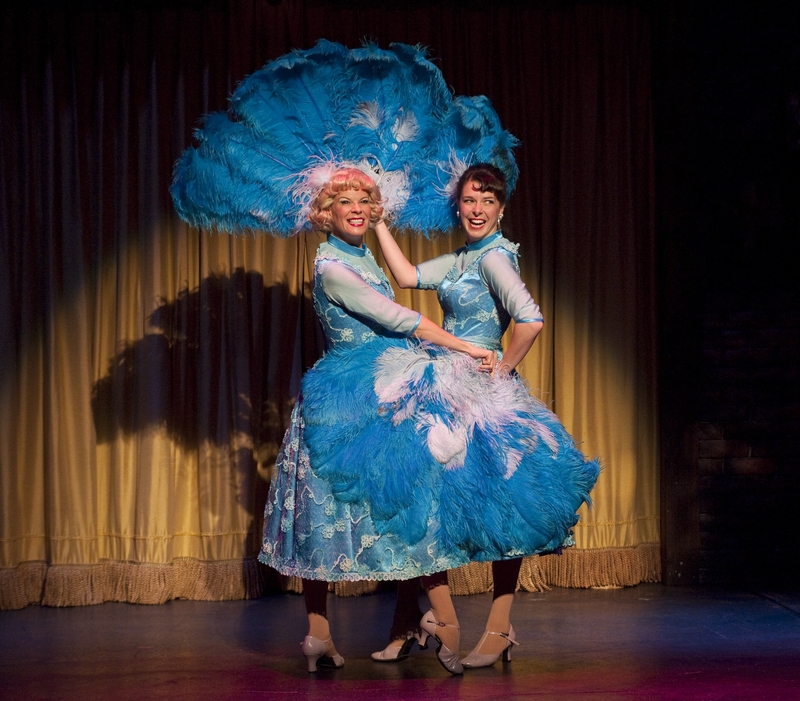 Sara-Jeanne Hosie and Monique Lund in the Arts Club Theatre Company’s production of Irving Berlin’s White Christmas: The Musical. Photo by David Cooper. Based on the 1954 musical film starring Bing Crosby, Rosemary Clooney, Danny Kaye and Vera-Ellen, the stage version debuted in 2004 with a book by David Ives and Paul Blake and music by Irving Berlin. Directed by Bill Millerd, musical direction by Bruce Kellett and choreography by Valerie Easton. Starring Sara-Jeanne Hosie, Monique Lund, Todd Talbot, Jeffrey Victor, Susan Anderson, Allan Gray, and Mark Weatherley and featuring Robert Allan, Scott Augustine, Adam Charles, Brennan Cuff, Anna Kuman, Jeremy Lowe, Kristie Marsden, Marianne McCord, Laura McNaught, Keri Minty, Shane Snow, Fiona Vroom, Rachael Withers. Arts Club Theatre Company presents Irving Berlin’s White Christmas: The Musical from December 4, 2010 – January 2, 2011 at the Stanley Industrial Alliance Stage, 2750 Granville St. Tickets are available online or by phone at 604-687-1644. The Arts Club has been right on the mark with their musical productions this season, and Altar Boyz is no exception. Previews began tonight and continue until opening night on June 24th. The original cast of the Arts Club Theatre Company’s production of Altar Boyz. Photo by David Cooper. I wasn’t familiar with the show before tonight but was quickly taken in by the clever spoofing of boy bands and Christian music. The plot does play a little thin at times but the enthusiastic audience was far too busy laughing to notice. Matthew (Jeremy Crittenden), Mark (David Hurwitz), Luke (Jak Barradell), Juan (Vincent Tong), and Abraham (Geoff Stevens) dance and sing as a well-oiled machine with a mission to save souls. Commanded by the Lord to gel their hair with product and gird their loins with pleather lest they skew to the detestable older demographic, the Altar Boyz are on the final show of their “Raise the Praise” concert tour. The entire quintet of actors shines in each of their respective roles as teen heartthrobs, but I have to single out Tong for his acrobatics, both literal and vocal. He was also extremely memorable last Christmas as LeFou in Beauty and the Beast (Arts Club). Choreographer Sara-Jeanne Hosie (currently playing Fantine in Les Misérables) pays homage to the most memorable of cheesy boy band dance moves. The Boyz’ dancing is crisp, clean and often downright hilarious. I have to confess that I attended several boy band concerts in the late 90s, and I saw more than a few evocations of classic Backstreet Boys and *NSync steps on the Granville Island stage tonight. Some of the lines delivered could use a little tightening, but the preview performance was divine and hopefully I’ll be back after the opening to see how the show improves. It’s looking like Director Bill Millerd is going to have yet another hit on his hands. Running at 90 minutes with no intermission, Altar Boyz runs until August 1st at the Granville Island Stage (1585 Johnston Street).